With advancements in medical science, aging has gotten easier for us than it was for our grandparents. But, that being said, we’re still having to deal with a whole range of different health issues as we continue to age. Here are 8 conditions that you should be looking out for and how you may be able to prevent them. Osteoporosis is one of the scariest conditions to affect people, especially women, of a certain age. It’s where your bones begin to weaken and thus much more likely to break. Fortunately, it’s also one of the easier conditions to prevent through a healthy lifestyle. Make sure you stick to a nutritious diet with plenty of calcium and vitamin D, avoid smoking and heavy drinking, and take part in some kind of weight-bearing activity on a regular basis. Many people turn forty and find that having had no issues with their vision in the past, they’re now squinting when they read. A number of conditions can affect vision around middle age, including presbyopia, cataracts, and glaucoma. This is much more difficult to prevent, but it can be treated. If you feel your vision is significantly changing, talk to your doctor as soon as possible. Plantar Fasciitis arises when the ligaments in your feet tear due to pressure, resulting in an awful pain in your heel. An extremely simple way of preventing this condition is to provide extra support to your feet through having comfortable and supportive shoes. So, look around for the best shoes for plantar fasciitis and start caring for your feet more. Arthritis is not just one condition, but a whole range of different conditions affecting joints in different parts of the body. Osteoarthritis is the most common, occurring when the cartilage begins to wear away in the joints. Rheumatoid arthritis is another common type, an autoimmune disease leading to inflammation of the joints. This type of arthritis is often treated with steroids and other anti-inflammatory drugs. A major digestive issue to look out for is GERD or Gastroesophageal Reflux Disease. GERD affects the esophageal sphincter leading to heartburn and reflux, which can lead to discomfort and a loss of appetite. Antacids can help to soothe an upset stomach, but switching to a mild diet is a healthier option. As you age, expect to deal with gingivitis, periodontitis, and regular old tooth decay. The best prevention is simply to take care of your teeth. Brush your teeth regularly and visit a dentist regularly. Functional disabilities, loss of balance, slower reflexes, poor coordination, they don’t usually stem from a single condition, but from a host of issues. Loss of muscle strength, hearing and vision loss, even diabetes and heart disease can make dizziness, falls and accidents more likely. Overall health can help to offset some of the factors that play into functional disabilities. Medical science is making leaps and bounds in the early identification, prevention, and treatment of memory loss and Alzheimer’s disease. Keeping the mind active can be a big help in staying sharp. It’s like a muscle, you can use it or lose it. Taking up a hobby like crossword puzzles, Sudoku or just reading more can be a big help in fighting memory loss. Aging can be frightening. Whether you’re turning forty or you’re turning eighty. But, with prevention, nutrition, and exercise, it’s possible to offset some of the effects of aging in order to maintain a healthy, active lifestyle for decades to come. A little bit of proper care goes a long way. 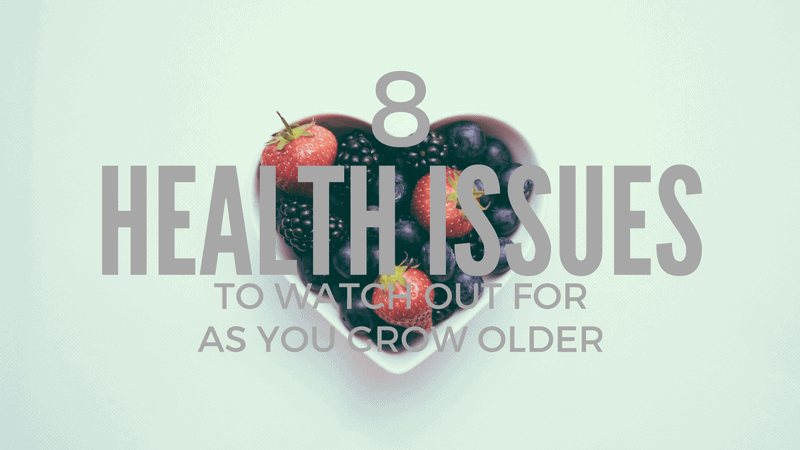 Disclosure: This is a featured post, however, we will all be old one day so best start looking after ourselves now.